This is a picture of designers working at DVLA, MoJ, HMRC, GDS and HO meeting up at the Home Office last week to share design patterns. This is something we do regularly as a design community. As we transform more digital services we need more interaction designers. People with experience of designing easy to use services. Some of these jobs are permanent, some are short contracts and they're in all parts of the country. It's my job to co-ordinate this community and make sure we're building one user experience across government. It can be hard to find these vacancies and sometimes they crop up at short notice so if you're interested drop me a line with a url of your work at ben.terrett@digital.cabinet-office.gov.uk and I'll point you in the right direction. You should also follow the UK Gov Digital Jobs Twitter because we tweet about all the digital jobs from there. Follow Ben on Twitter, and don't forget to sign up for email alerts. Are you sure HMRC have interaction designers?? Have you ever visited hmrc.gov.uk??? 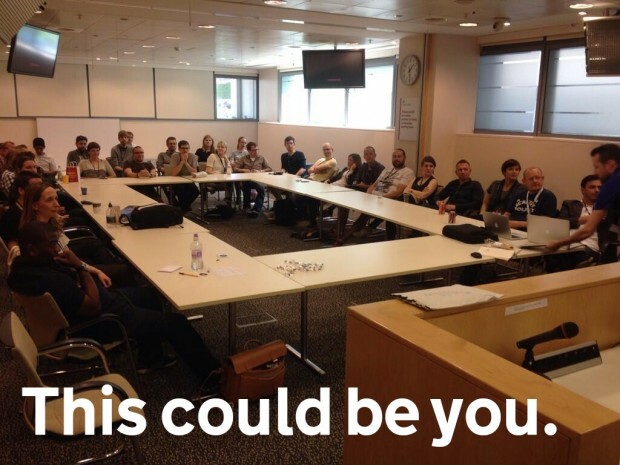 As an interactive designer who recently left the DVLA team this is the first I've heard of these meetings, it would have been an amazing opportunity.